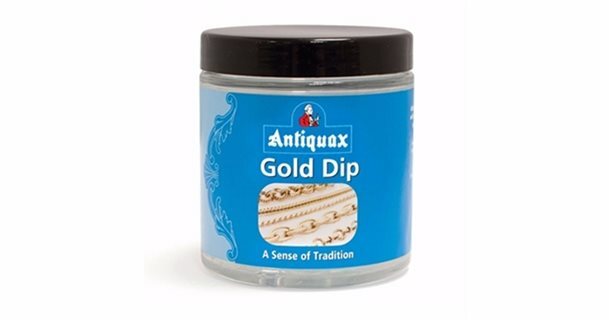 Antiquax added Gold Dip to their product range to complement the already popular Silver Dip. Refresh all your old gold with Antiquax Gold Dip. An acid-free formulation that will remove tarnish from gold jewellery and gemstones. Regular use will ensure that your gold will maintain its original brilliant shine.